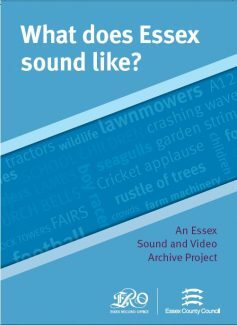 The Essex Sound and Video Archive, part of the Essex Record Office, will be holding a public survey event about Essex sounds in Grays Shopping Centre on 29-31 October. 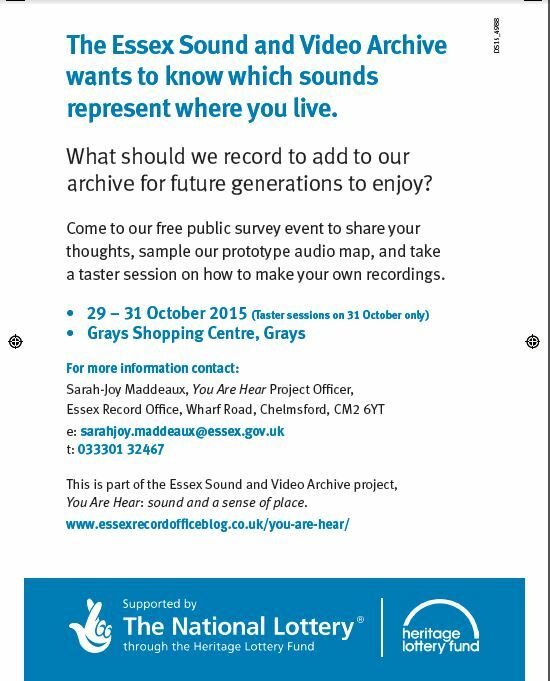 This event is part of our Heritage Lottery Funded project, You Are Hear: sound and a sense of place. We will be asking people which sounds we should record for our Archive, to represent Essex in 2015. 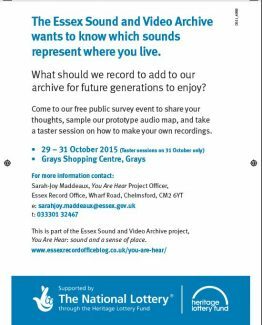 Visitors will also be able to test our audio map; learn about contributing their own recordings to the map; and find out more about the project, and the Sound Archive generally. If anyone is interested, we are also looking for one or two volunteers who might be able to help out at the event, on the Thursday or Friday. We are looking for people who wouldn’t mind approaching members of the public in the shopping centre to do our survey about Essex sounds. I know it is last minute, but I thought I would be cheeky and ask in case anyone wants to come along! Please get in touch if you are interested. We will also happily take your suggestions of sounds that we should be recording. You can contact me directly if you cannot make it to our event.